Despite the entry into force of the second tranche of US sanctions against Iran since November 5, a US steamer loaded with soybeans from the United States was headed to Iran. According to information released by the US Department of Agriculture, the ship, which is carrying a shipment of soy from Longview port in Washington, sailed to the Iranian port of Imam Khomeini on November 1. This coincides with the resumption of the US sanctions against Iran, which was withdrawn under the nuclear agreement in 2015. These sanctions confirmed that the US administration will be more harsh than its predecessors – covering under its ambit the energy, shipping and the banking sectors in Iran. The new sanctions do not appear to include agricultural products, but due to restrictions on financial transactions related to deals with Iran, these sanctions will also effectively hinder the sale of foodstuffs that had escaped the guillotine imposed on Iran. The shipment of 56,951 tons of soybeans is the thirteenth batch since last July sent from the United States to Iran. Since the outbreak of the US-China trade war in July, America has exported 873,420 tons of soybeans to Iran. 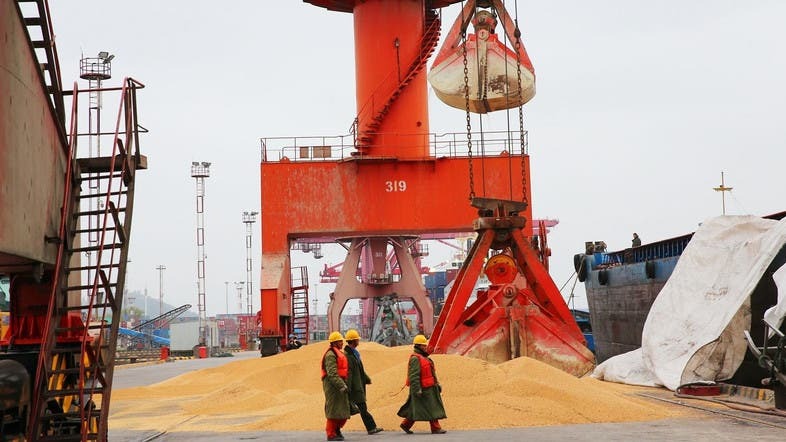 The United States is seeking to increase its soybean sales to countries such as Argentina, Egypt and Iran to bridge the gap caused by the suspension of exports to China, the world’s largest consumer of soybeans. US soybean exports to Iran rose from $26 million in 2017 to $ 211 million in 2018, according to US Agriculture Department figures. “Our ultimate goal is to force the Iranian regime to abandon its well-documented outlaw activities and to act as a normal country,” he said.